Everyone loves Automation. Wouldn't life be great if every other thing that requires manual intervention would become automated. Well, that's too far a dream, but for now, we have got some automation for the wallpapers on our mobile devices. Yeah! you heard right. We now have apps that automate the wallpaper changing. 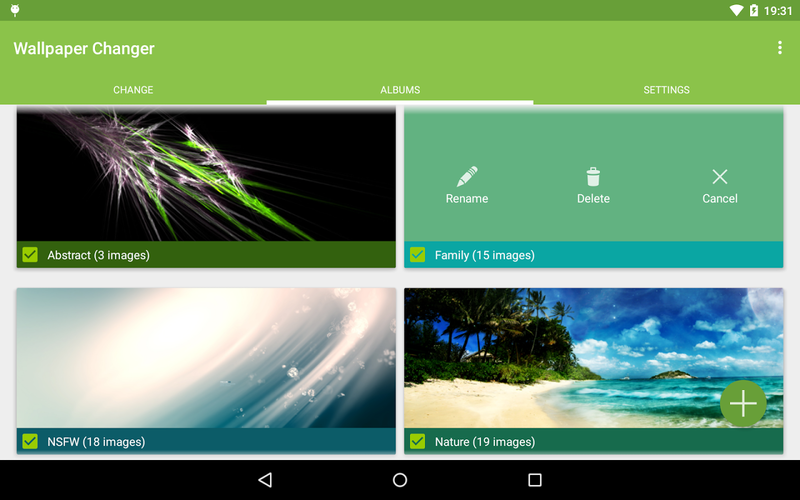 Now, you don't have to waste time on searching, downloading, setting or changing the wallpapers from time to time. These awesome apps will do that for you. 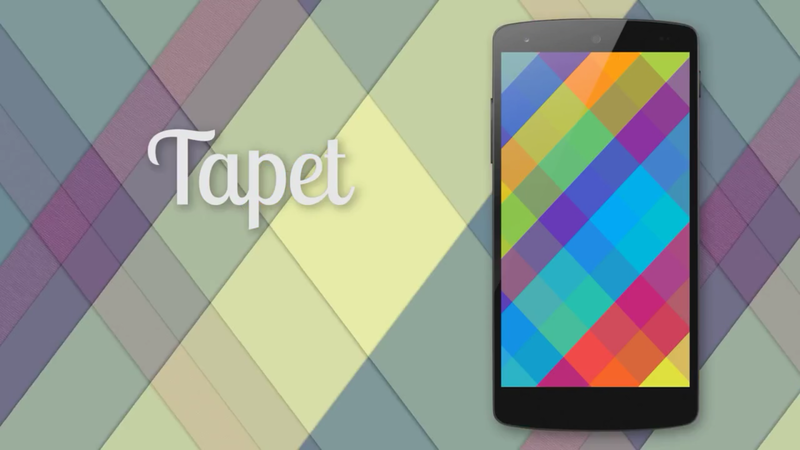 Tapet, an ancient english word for wallpaper, is a first of its kind app that automatically generates high-quality wallpapers, even Android-Lollipop Material-Style ones. You can either select a random wallpaper or let the app generate one for you as per the selected time interval. It simply changes wallpapers on the fly. Wallpapers are created according to your device's screen resolution, making them the highest possible quality.Images fit your screen perfectly and even create a beautiful parallax effect, making the wallpaper even more pleasant. The best thing about Tapet is, it does not download any of the images from the internet to your mobile device. This is a plus point for the app and makes it better over Zedge forcing us to rate it number one. This is a definite download, just go for it. Founded in 2009, Zedge is a mobile content discovery platform and community where users can download content to customize their smartphones and other mobile devices. The app includes wallpapers, ringtones, alert tones, and games on the Android, iOS and Windows Phone platforms. Zedge has over 100 million users on Android and iOS. Zedge was named as one of Time's Best 50 Android Apps of 2013. Apart from offering free wallpapers for different platforms, it allows you to automatically time the downloaded wallpapers from one particular folder. 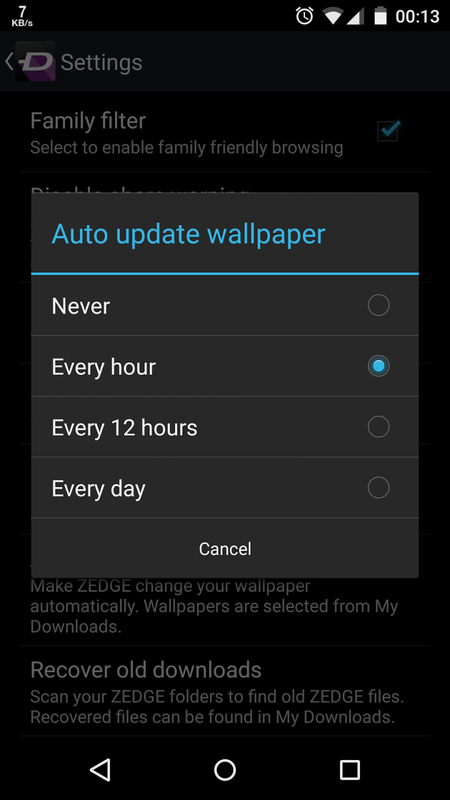 Just go to Settings > Auto update wallpapers and set the time period as required. On the basis of features, ratings and popularity for wallpapers, we have kept it on the second position. If you are a wallpaper lover and you have no reason to worry about memory usage on your mobile device, this app is for you. Go for it! Wallpaper Changer is another great app that offers some features which the above 2 apps don't. It may not offer you wallpapers to download or apply but it allows you to add any folder with pre-downloaded images or wallpapers. 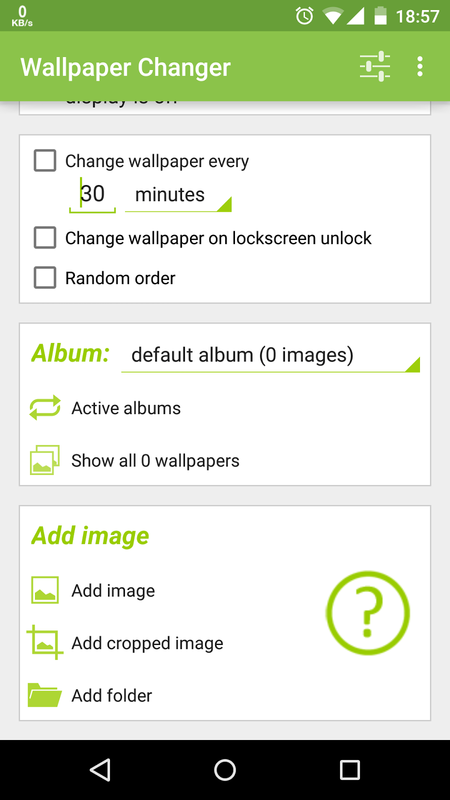 You can also enable a timer to automatically change your wallpaper on a predefined time. 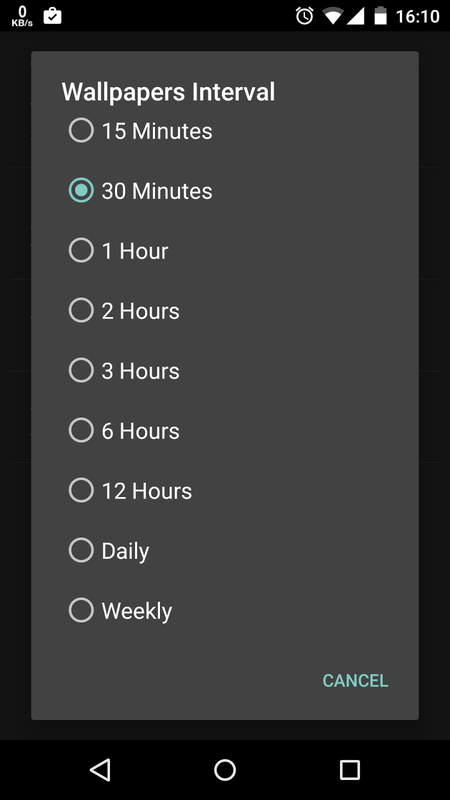 This app is optimized for battery life & performance, so it might take some seconds to actually change the wallpaper after a click on the widget. So, for pre-downloaded images, this app is perfect but if you are looking for a fully automated app that offers you wallpapers along with other features, this app is not for you. For obvious reasons, we have positioned it on number three. Want more great apps? Check here for top 10 android apps of all times. Another free app is Wallpaper Changer, we have used it since months, and it works.